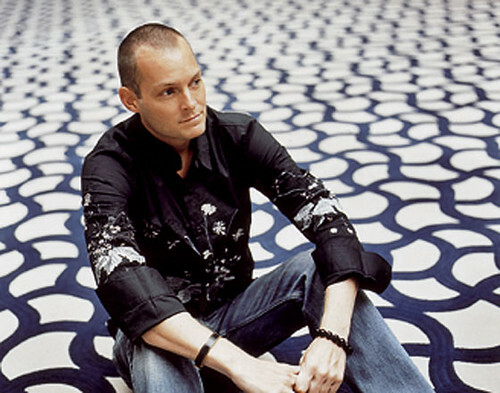 American McGee (born December 13, 1972) is an American game designer. He is currently the CEO and Founder of Mysterious LLC. McGee began his career at id Software. He was a level designer for such games as Doom II, Quake, and Quake II. In 1998, he moved to Electronic Arts, where he worked as a Creative Director on many projects and also created American McGee’s Alice. In 2000 upon completing Alice, he left EA and began work as an independent game developer. American has been in China since 2004, and currently lives in Shanghai. There, he helped establish video game outsourcing venture Vykarian. Then, in 2006 he announced the formation of a new game development studio Spicy Horse. The studio’s first project was “American McGee’s Grimm“, a unique episodic game produced for GameTap. In 2010 Spicy Horse released “Alice: Madness Returns” a AAA console title for the worldwide market published through Electronic Arts. 2011 saw Spicy Horse shift their development efforts to the online, F2P game space. With investment support from Vickers Capital Group the studio began development on three original new games for online and social networks: “BigHead BASH“, “Akaneiro: Demon Hunters” and “Crazy Fairies”. In late 2016 Spicy Horse closed the doors on its Shanghai-based development studio. These days American’s focus is on Mysterious and Pirate Jam. At Mysterious he’s building game, fashion, and art project. At Pirate Jam he’s lead pirate. Arg, matey. His work passions include fostering studio culture, driving strong development process, and heading up creative collaboration with his teammates. When not at work he enjoys exploring Shanghai and China, tinkering with electric scooters, sailing, learning Chinese, learning cello, and cooking spicy food. Designer: Creation of level design content, game code (AI, UI, in-game) production of sound effects, management of music, game design. Creative Director: Management of game development process across multiple SKUs, platforms, and regions. Creation of original game content. Founder/Creative Director: Management of cross medium IP development house. Creation of original game, literary, film, and toy properties. Founder/CEO: Management of game development studio. Creation of original game and media properties. Founder/CEO: Management of product development and design. Creation of original game, fashion, and art properties. Critter Academy (2016), Spicy Horse Inc. Heroes of Night (2015), Spicy Horse Inc.
Chains of Darkness (2015), Spicy Horse Inc.
Alice: Otherlands (2014), Spicy Horse Inc. The Gate (2014), Spicy Horse Inc.
Akaneiro: Demon Hunters (2013), Spicy Horse Inc.
Crazy Fairies (2012), Spicy Horse Inc.
BigHead BASH (2012), Spicy Horse Inc.
Alice: Madness Returns (2010), Spicy Horse, Inc.
American McGee’s Grimm (2008/2009), Spicy Horse, Inc.
American McGee presents Bad Day LA (2006), Enlight Interactive Inc.
American McGee presents SCRAPLAND (2004), Enlight Interactive Inc.
American McGee’s Alice (2000), Electronic Arts Inc. The Sims (2000), Electronic Arts Inc.
DOOM 64 (1997), Midway Games Inc.
Quake II (1997), Activision, Inc.
Quake Mission Pack No 1: Scourge of Armagon (1997), id Software, Inc.
Quake Mission Pack No 2: Dissolution of Eternity (1997), id Software, Inc.
Hexen: Beyond Heretic (1996), GT Interactive Software Corp. I could’ve sworn I saw your name in the credits for a game called ‘Neuromancer’ which ran on the Amiga 2000, circa 1989-1990. Have I confused you with someone else or are you hiding from your past?